The Freightliner is a Type C conventional bus chassis manufactured by Freightliner, used for school bus and commercial bus applications. 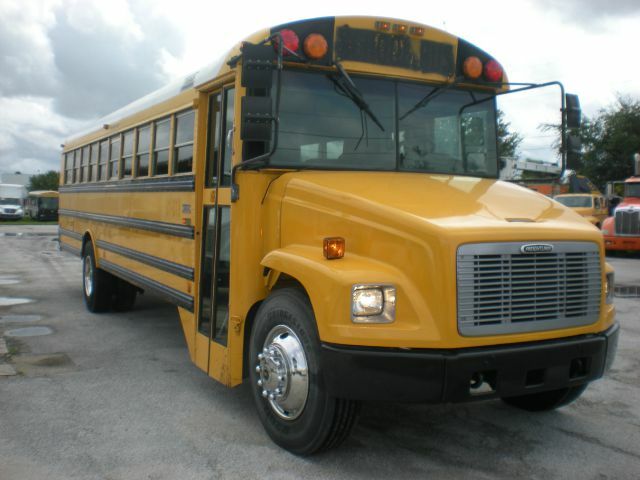 It was introduced for the 1997 model year for Thomas Built Buses. The FS-65 is most closely related to the Freightliner FL-Series medium-duty conventional. As the FL-Series was replaced by the M2 in 2001, Freightliner began work on the Freightliner C2. Introduced in 2003, the C2 would use nearly the entire dashboard of the M2 truck. While developed before the sale of the Ford heavy-truck line to Freightliner in late 1996, the FS-65 would go on to take over much of the market share owned by the B-Series, as Ford would shut down medium-duty truck production (its base for school bus chassis) by the end of 1998.